Each Autumn, H&M present a limited collection in collaboration with a well known designer. 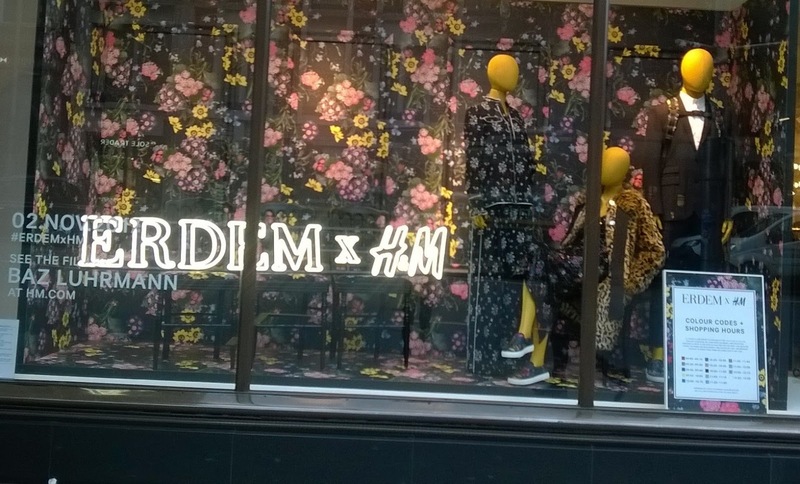 Recently, there was great excitement when they launched their Erdem x H&M collaboration. 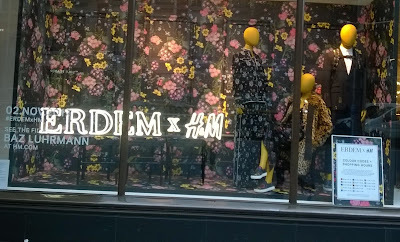 Erdem was a very fitting choice of designer for the Autumn collaboration, given the trend for dark floral prints this season. The collection included both clothes and accessories for women and men. By the time I arrived, the floral printed dresses had disappeared rapidly from the rails but amongst the remaining pieces, there were some attractive printed silk scarves and strappy, strass-trimmed, kitten heeled shoes still on display. 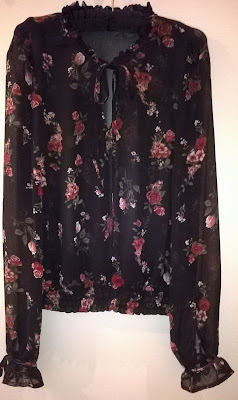 I myself have now bought a dark floral print blouse from H&M Divided, (see below). The blouse came from a small limited collection of pieces within the Divided range, which are only available at some H&M stores. These pieces are usually a little more expensive and dressier than the usual Divided clothes and are ideal for special occasions. Made in a sheer woven chiffon-type of material with a red rose print on a black background, the blouse has a tie neck with a little frill and again ties at the wrists with a frill. 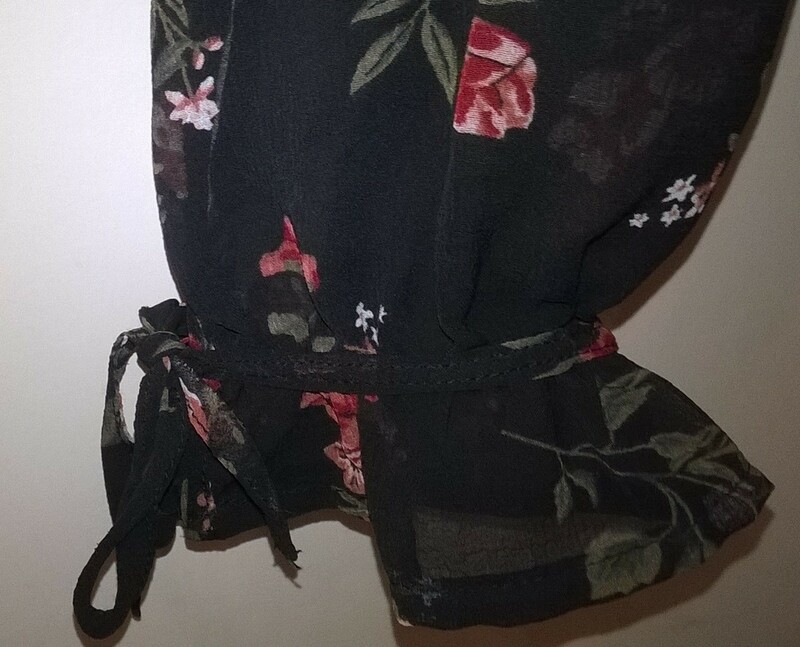 Whilst I can often wear the blouse with black jeans, I shall also dress it up with a little black skirt and complete the look with black tights, black suede sock boots, earrings (with pearl and diamante perhaps) and dark, dark lipstick. It's time to look for the perfect skirt and boots!